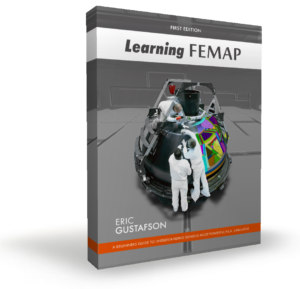 Learning Femap (www.LearningFEA.com) – A technical reference for professionals and students learning Femap with NX Nastran. 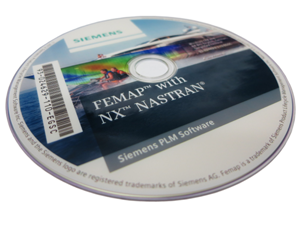 A technical reference for professionals and students learning Femap with NX Nastran. Femap v12.0 is out! Go download! Here are some great new features. Free student version of Femap now available. Femap v11.4.1 released! Go download! Printed copies are offered from the Shop page. We use Amazon Payments to facilitate online order payments, and Square as a secondary option for those having trouble with the main storefront. To buy on the Square site click here. Note there are limitations to orders on the Square site. This includes no international shipping option. For assistance with your order, use the Contact form. Welcome to LearningFEA.com, the website for the first introductory guide to the world class finite element program Femap. 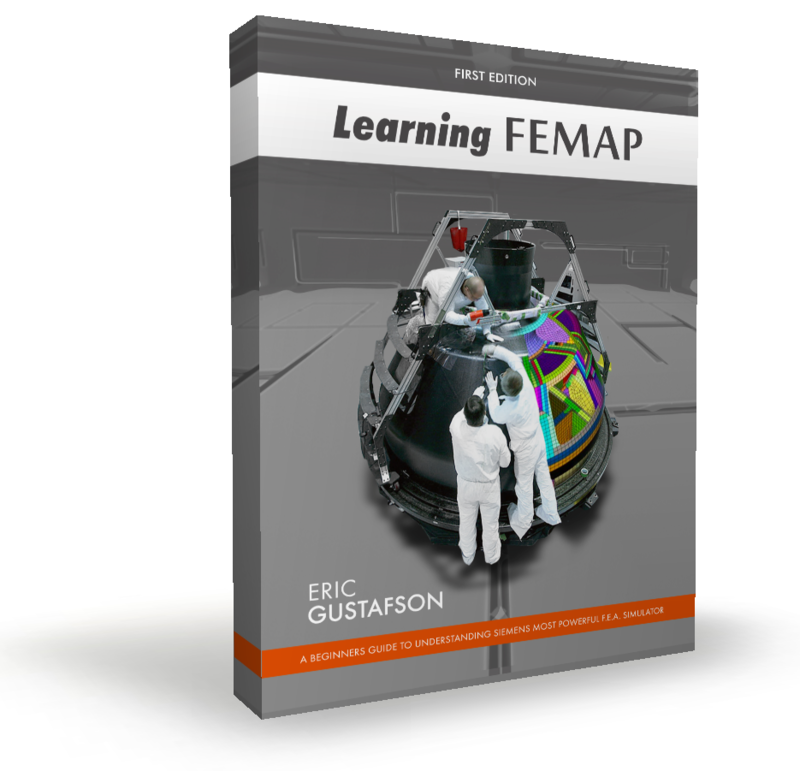 This book for new users teaches a basic understanding of Femap in six concise chapters. Each of these chapters contains numerous illustrations and annotated examples. A second section contains multiple tutorial walk-throughs to get you up and running in a minimal amount of time. Learning Femap was written for mechanical and aerospace engineering students and entry-level professionals wishing to understand the basic steps of FEA with Femap and NX Nastran. Typically, these first few steps are the most critical but are what many struggle the most with. Even worse, some users find methods that might complete a task, but do so without the assistance of new or optional Femap commands that dramatically speed up modeling and post-processing. Learning Femap can help take the frustration out of starting fresh in a new tool. What will I find on the website? This website serves as both a blog and storefront. The blog may cover recent Femap news such as version releases, or information regarding Femap or NX Nastran capabilities. Capabilities discussed in the blog are not necessarily covered in the book. They may be an extension of a book discussion, a clarification, or just a topic that has come across the support desk. The storefront is, of course, where you can purchase the book.